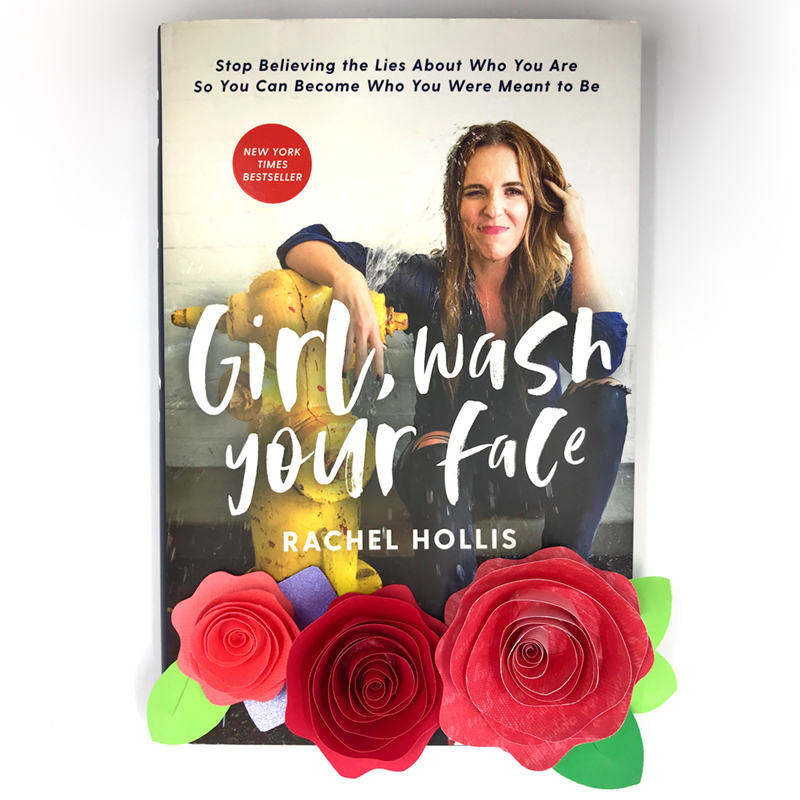 2018 was the year of “Girl Wash Your Face” by Rachel Hollis. She had the #2 selling book of the year only being outsold by “Becoming” by Michelle Obama. Like so many women I related to this book in a very powerful way. Her words helped me realize my debilitating migraines were related to my mental health, helped me confront bad relationships I had allowed myself to be in, spoke to the recovering ‘people pleaser’ in me, and talked about achievement in a way that I internalized. I have gifted at least 5 copies of this book already. I just have to spread the love! 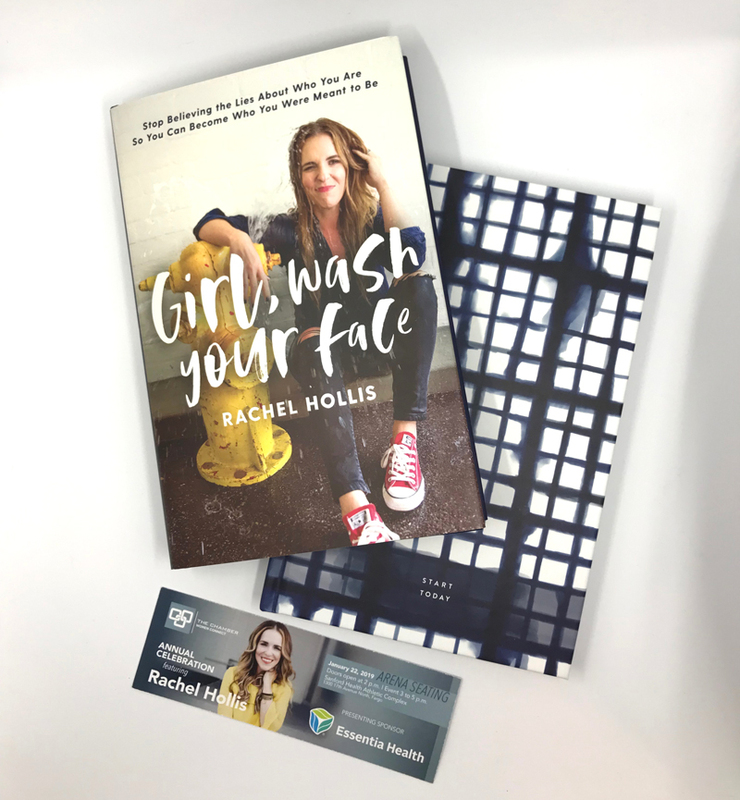 So when I heard Rachel Hollis was speaking in Fargo, ND I knew I had to snag a ticket to see her in person. The Fargo Moorhead West Fargo Chamber of Commerce brought her in as the keynote speaker for their annual Women Connect event. The event quickly sold out and a few months later I heard that they had moved the event to a larger venue to accommodate the demand. The event of 500 went to an event of empowerment for 4,000 women (and a dozen men) in the freezing tundra. Photo from the Fargo Moorhead West Fargo Chamber of Commerce Facebook album. Photos from the Fargo Moorhead West Fargo Chamber of Commerce Facebook album. Rachel delivered her powerful and authentic words challenging women to be ‘Made for More.’ Her message isn’t just a hollow cheer. She walks the walk and she talks the talk. She provides content daily for her online community and her Instagram (with over 1 million followers) shows her always trying to live as an example. She eats clean, exercises daily, and lives her life so she can be the best version of herself everyday. She urges women to live a healthy life not for a jean size, but to feel their best and achieve their best. I greatly appreciate watching the Walt Disney documentary on a Mac Book Pro. I can relate. Photos are from Rachel Hollis’s Instagram stories. Everyone who came to the event was given a copy of “Girl Wash Your Face" and also had the opportunity to purchase one of the highly coveted (and currently SOLD OUT) Start Today journals. I actually won my Start Today journal! How you say? Read on for more! I can’t tell you how many people thought I was crazy to drive 8 hours in one day to see an author. But I have constantly learned that putting in greater effort leads to greater returns. So I hit the road! And guess what? I got to actually meet her!!! I got to go on stage and take a selfie with this women who is such an inspiration to me. And I won a SOLD OUT Start Today journal too! There has only really been two times in my life I didn’t know what to say when I met someone. 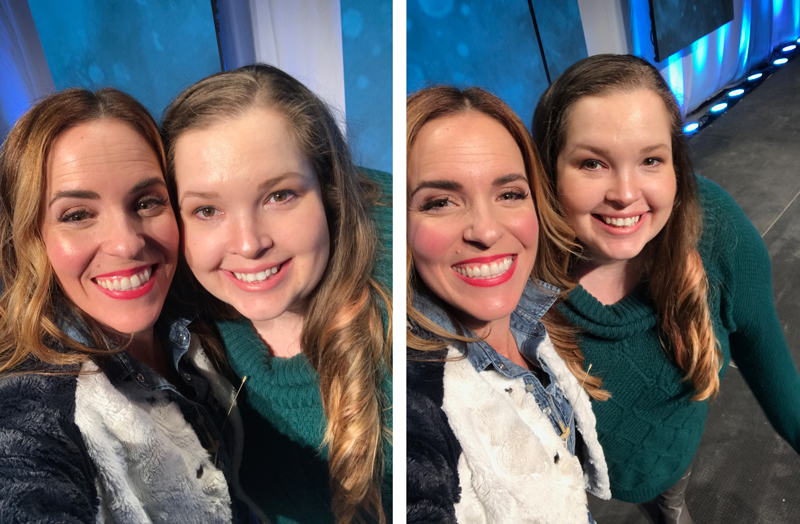 I was almost speechless when I met Steven Tyler… AND… when I got to meet Rachel Hollis. 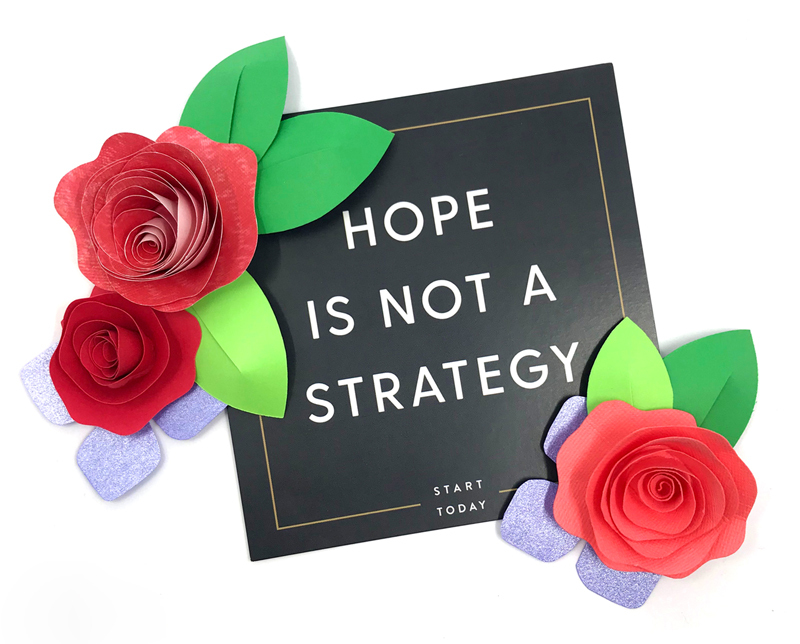 I wanted to tell her about my migraines, how she had helped me, how her words made me feel seen, how her words mirrored my own struggles, and how I was writing my first book and she inspired me to keep going. But all I ended up doing was introducing myself, hugging her tightly, taking a selfie, hugging her again, and then wishing her safe travels. So many people tease me about meeting people I admire. They kinda know it is ‘my thing.’ So out of 4,000 attendees, my friends and family were not surprised I was lucky enough to be the one to go on stage with her. But here is the thing. Luck is only part of it. I always equate my luck with my willingness to do more than most other people. I drove 8 hours to see her. And when they asked people to post online and enter a selfie contest only about a dozen people in the arena even tried. I was one of the dozen. And I didn’t just post any picture. I thought about what everyone else was going to post. I knew they would all take pictures with their books they just got or maybe put Rachel into a photo with them (with an ap on their phone) and ask to make the photo a reality. I knew I had to stand out. So I thought about what I had with me. I had my iPad Pro and iPencil and Procreate drawing ap. I tweeted showing me with the items, included the requested #fmwfwc hashtag, and this all showed I was an artist. That was different. That stood out. My winning selfie tweet that won me a chance to go on stage and meet Rachel Hollis! UPDATE 3/9/19: The Fargo Moorhead West Fargo Chamber of Commerce sent me a hard copy of their magazine with a kind note to show me my picture published in it. How sweet are they?